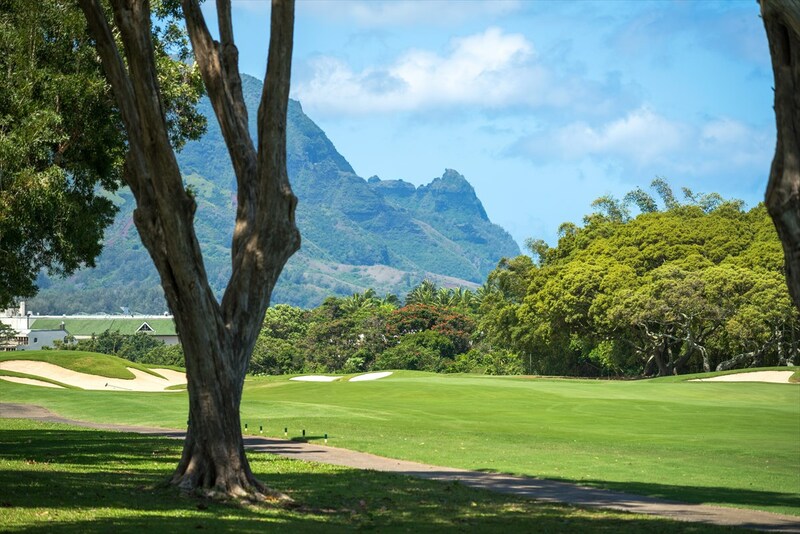 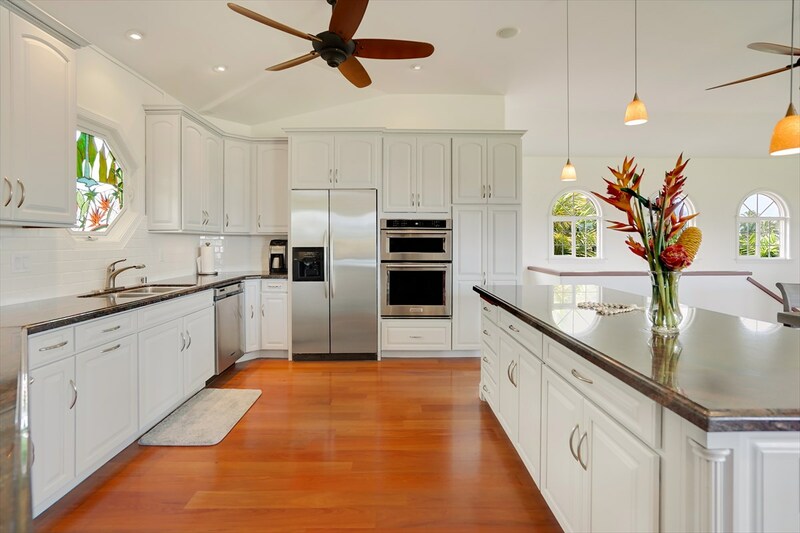 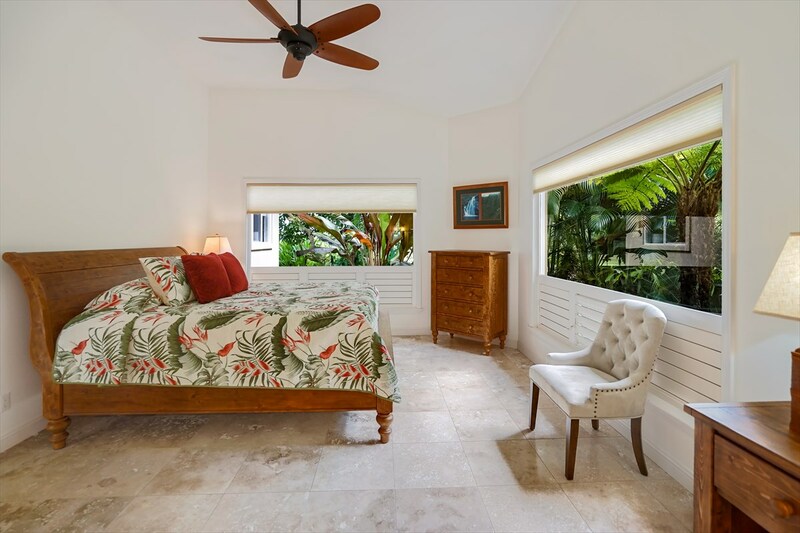 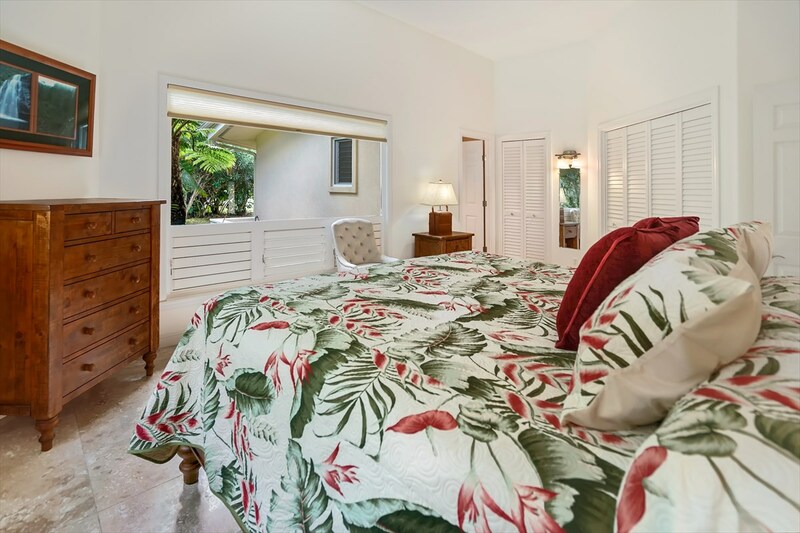 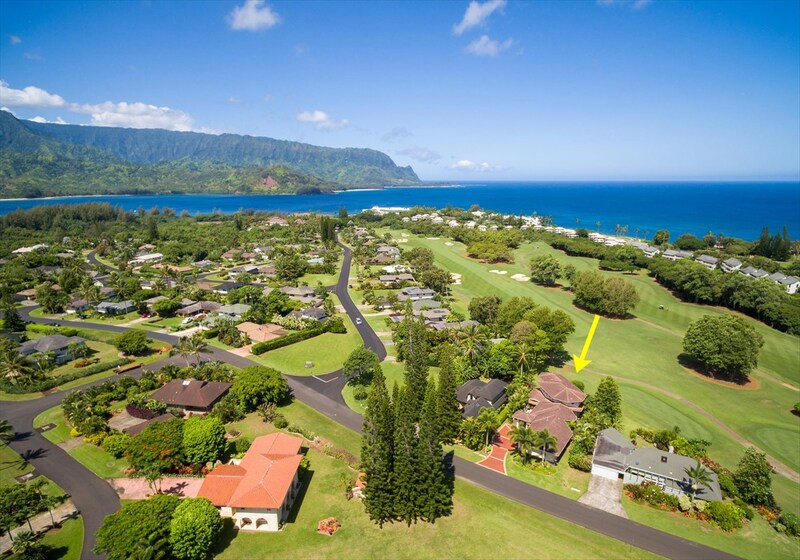 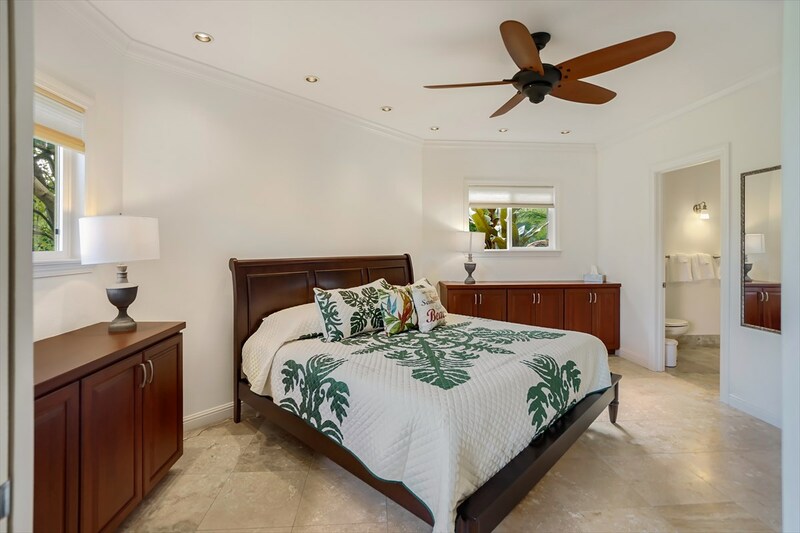 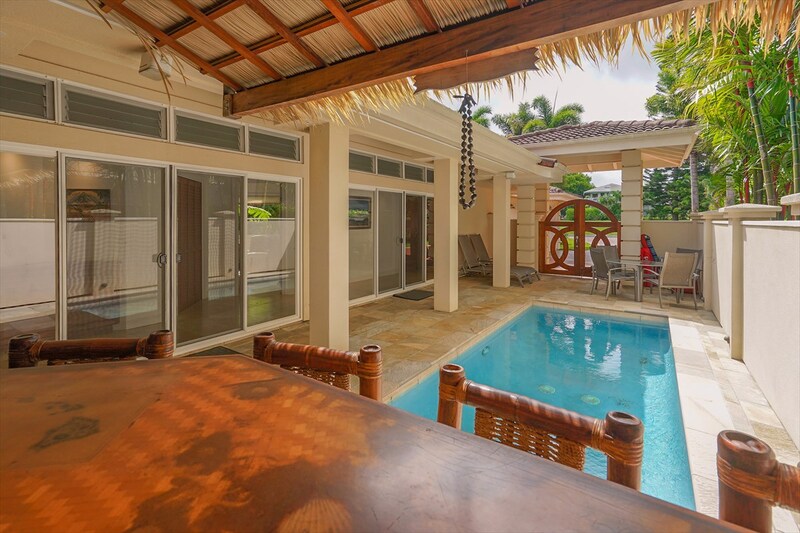 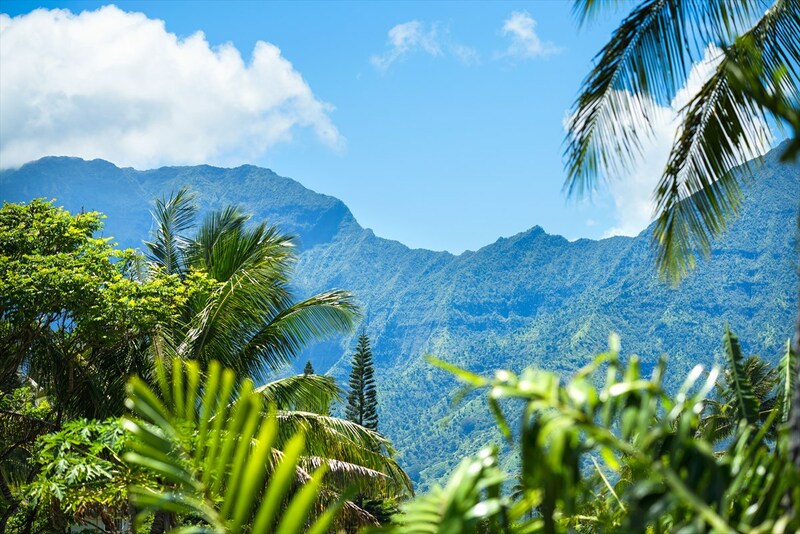 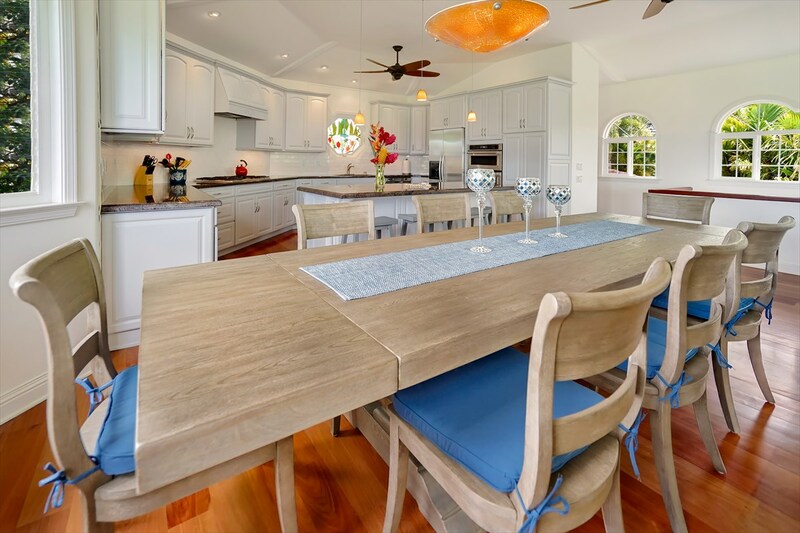 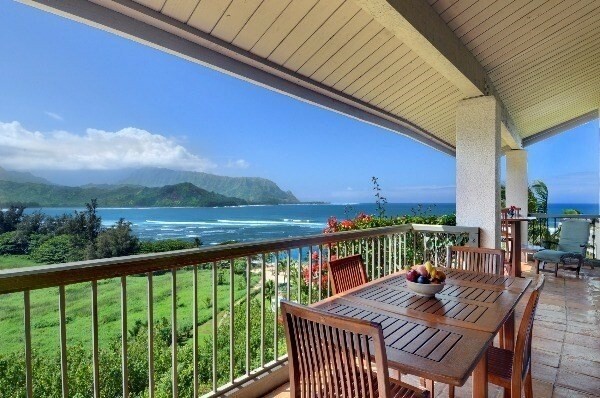 Hale Liholiho is a quality vacation home just freshened with finish upgrades and paint throughout, all new furniture, and air conditioning on the Princeville Makai Golf Course hole #2 in the Princeville Resort on Kauai's north shore. 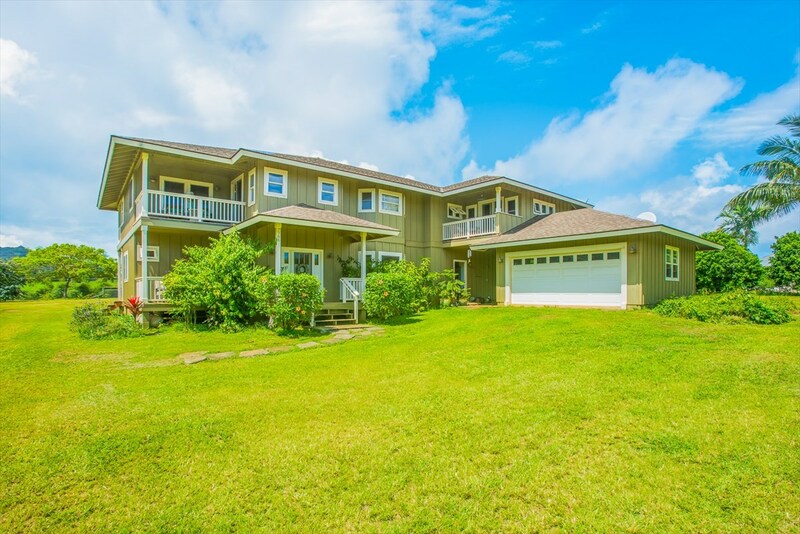 This exceptionally well built 2-story residence is the epitome of meticulous design, craftsmanship, and attention to detail. 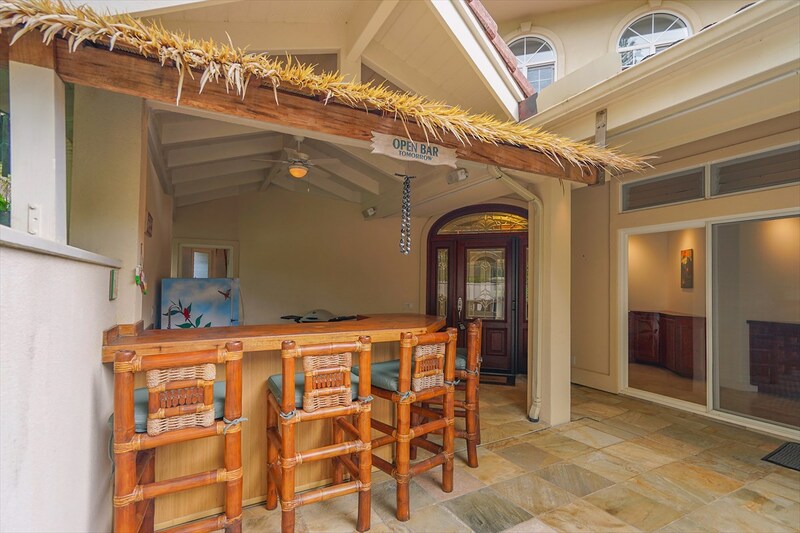 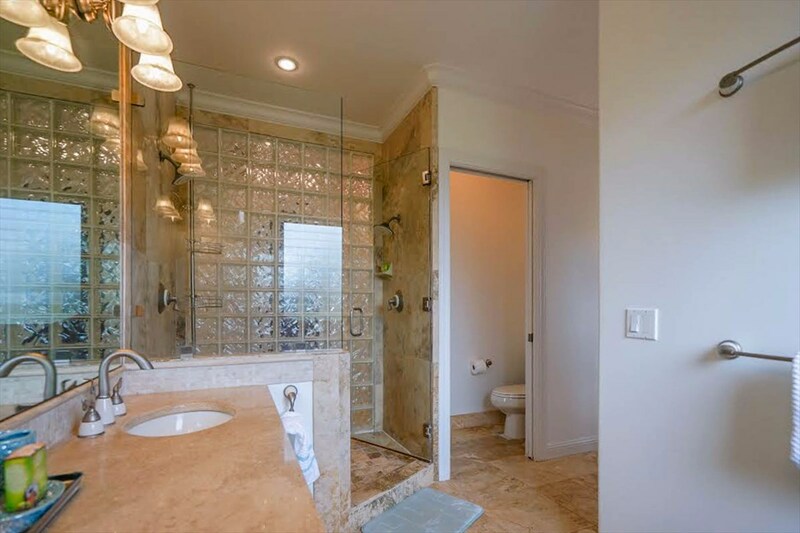 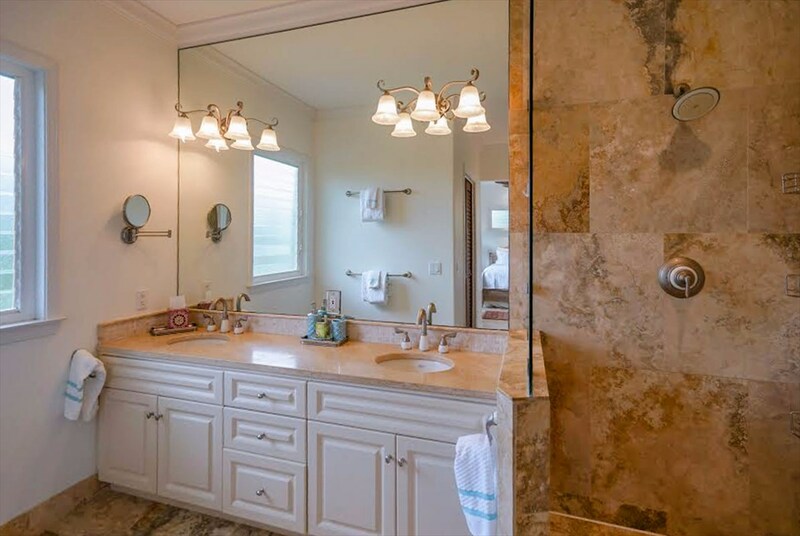 The home features a low maintenance stucco exterior, tile roof, huge 3-car garage, Rosewood and Travertine floors, crown molding, stained glass, in-ground pool, festive Tiki bar, integrated sound system, and many more details throughout. 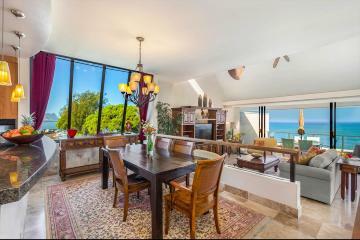 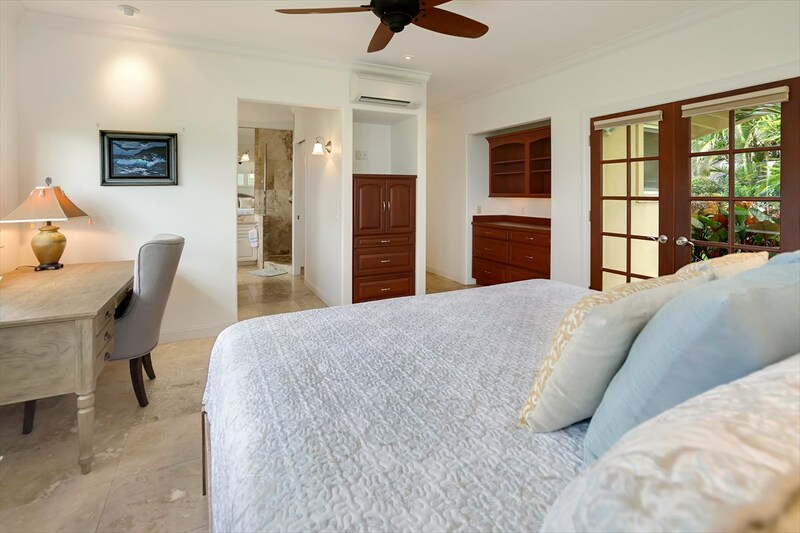 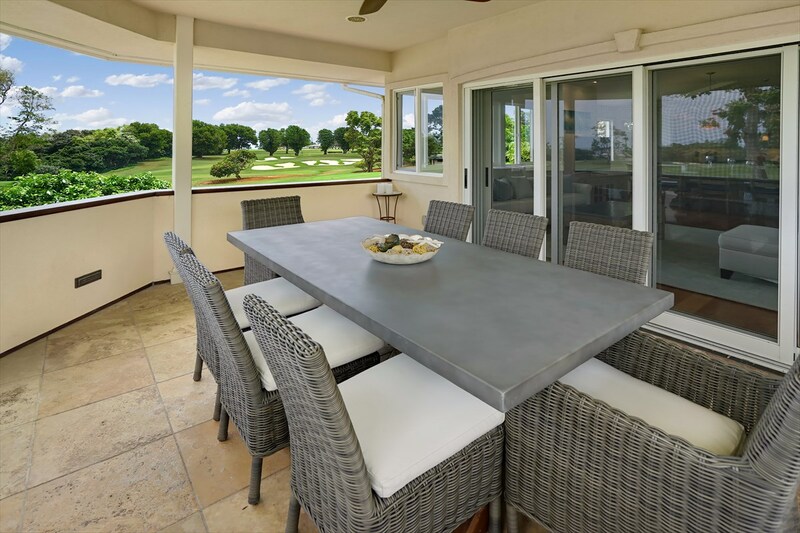 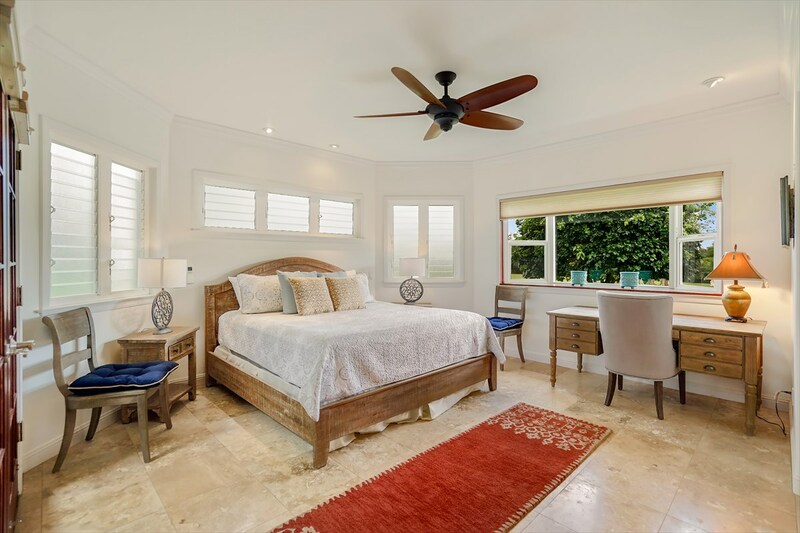 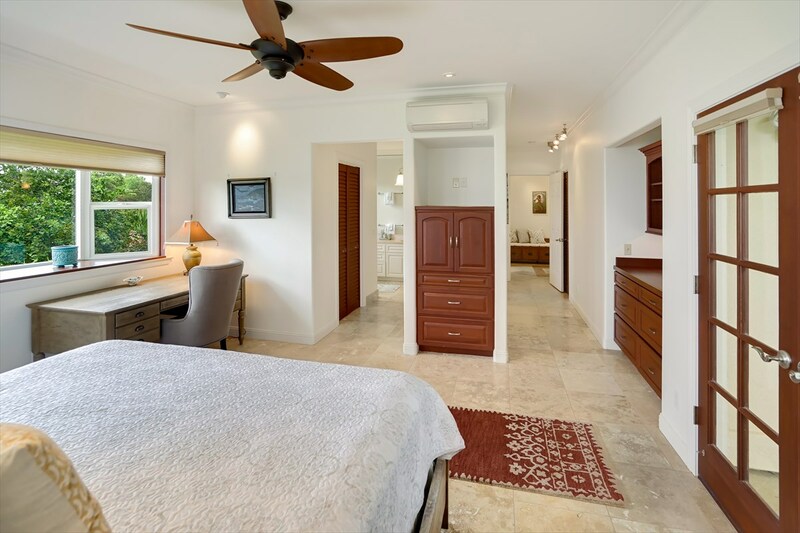 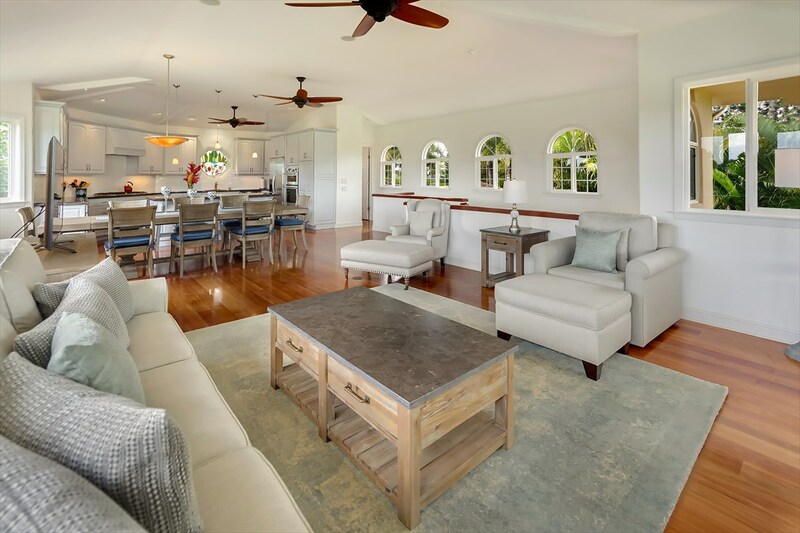 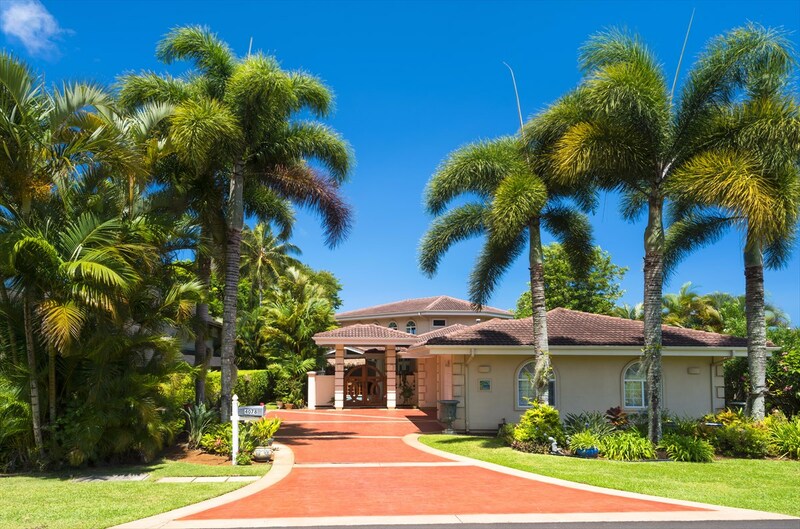 The open and airy living area, covered lanai and gourmet kitchen are located on the second floor with expansive views of the golf course, mountains and waterfalls, as well as distant ocean views. 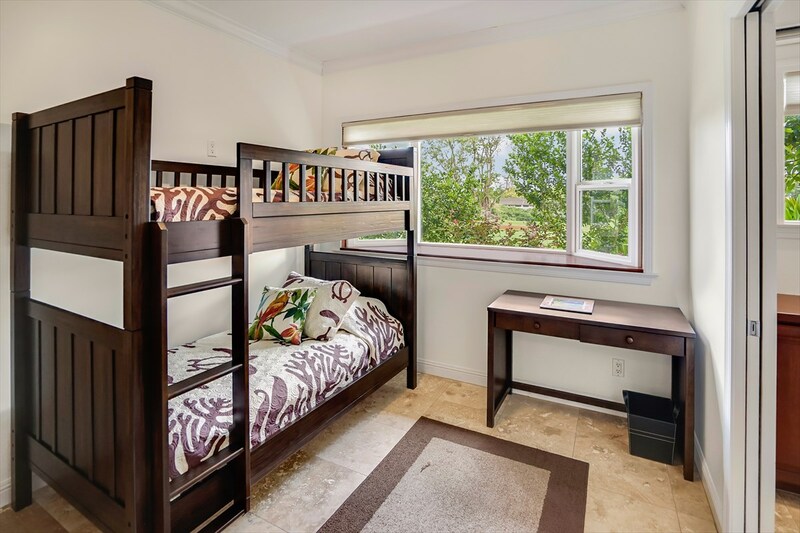 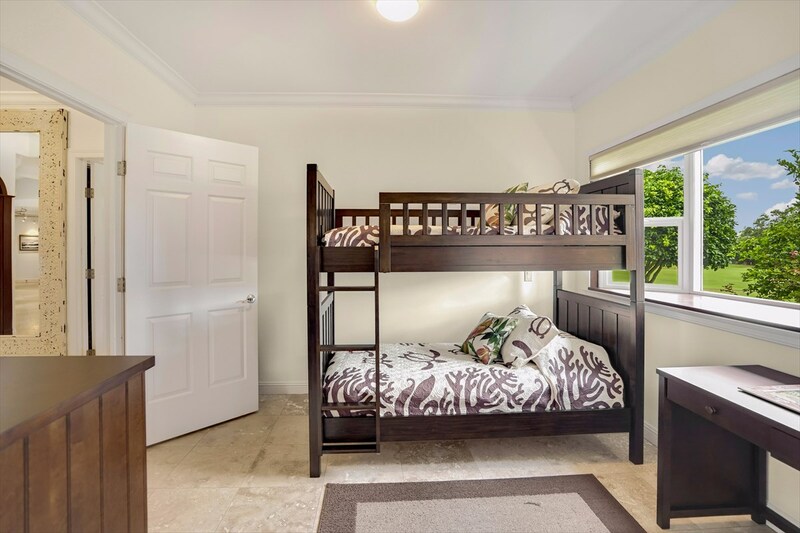 Located on the ground floor is a large master bedroom suite, 2 guest bedroom suites, and a bunk room. 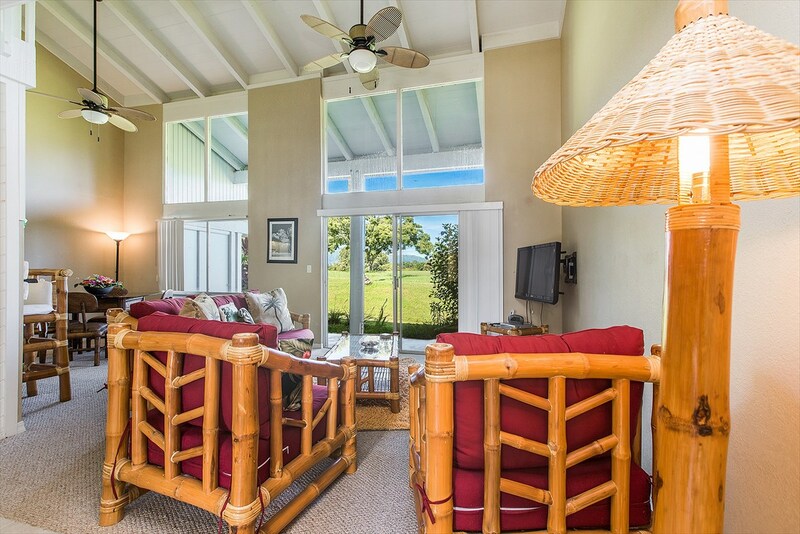 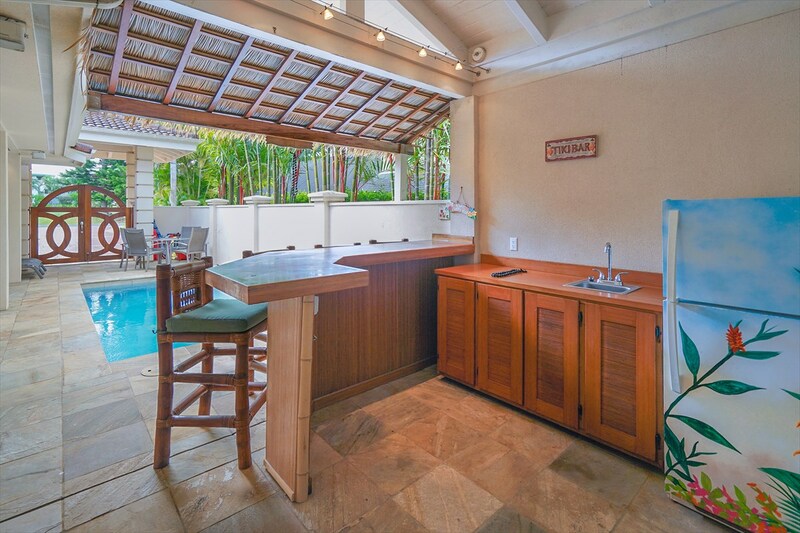 The open, flowing floor plan offers casual resort living in a tropical ambiance. 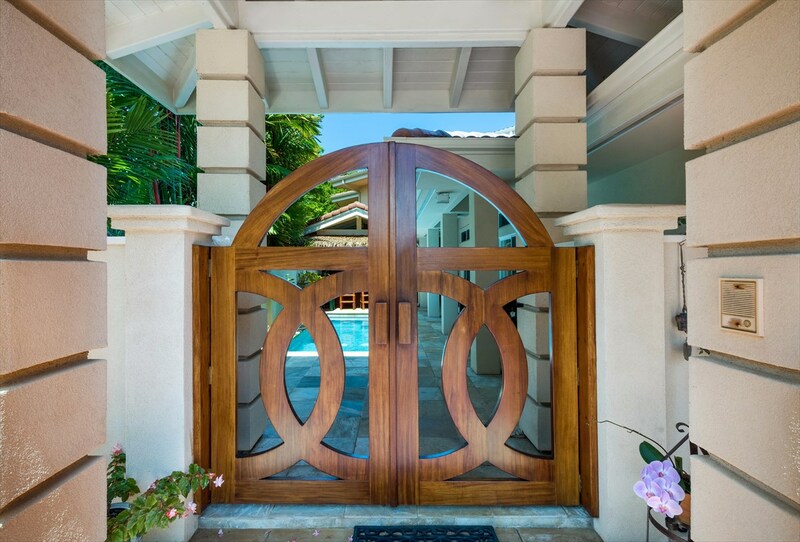 Memorable first impressions begin with the exotic, handcrafted hardwood gated entry to the private courtyard pool and Tiki bar area lined with brilliant red Sealing Wax palms. 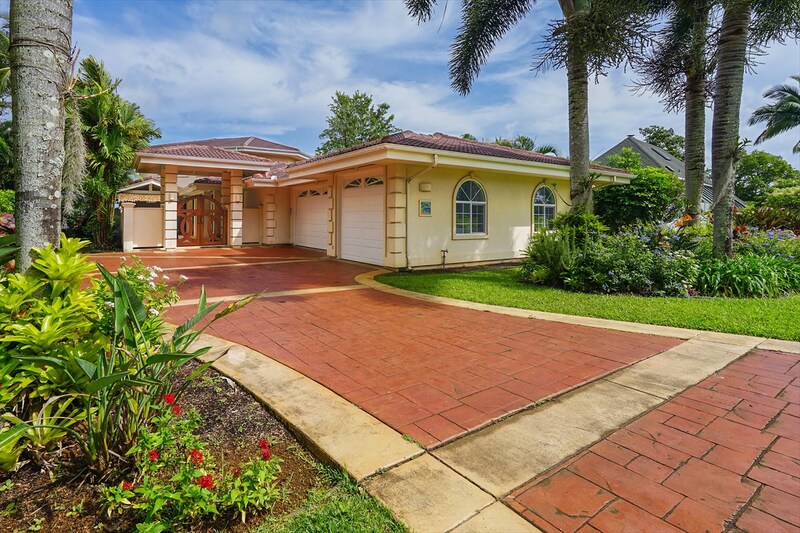 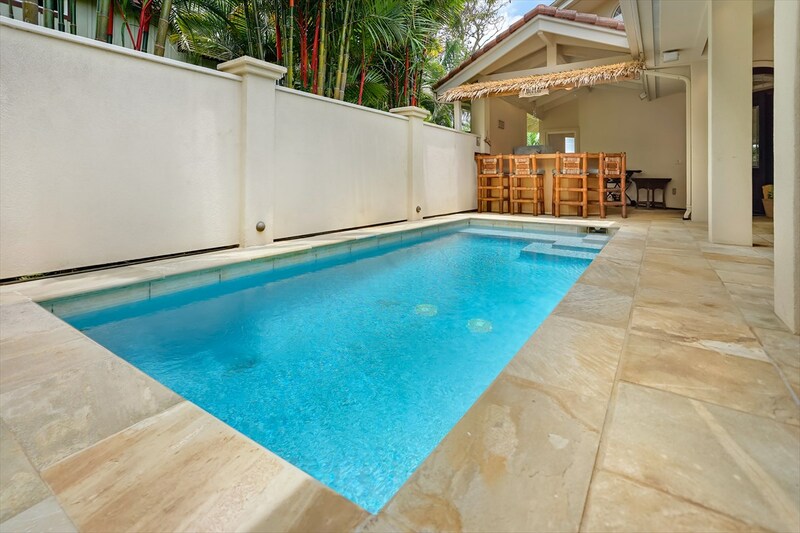 This stunning home for ready for entertaining family and friends. 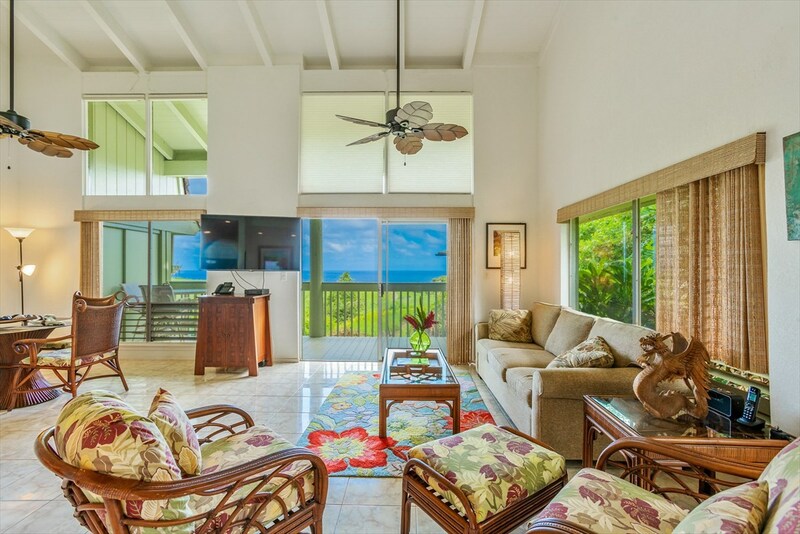 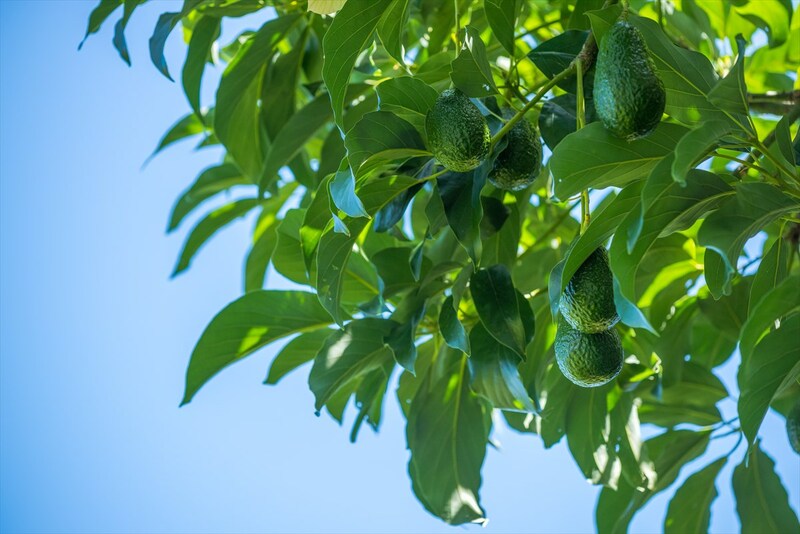 Resort amenities, shopping, and famous beaches are only a few minutes away. 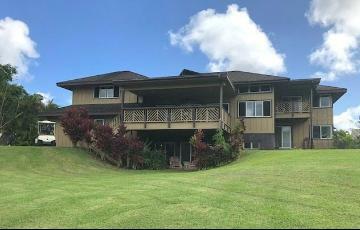 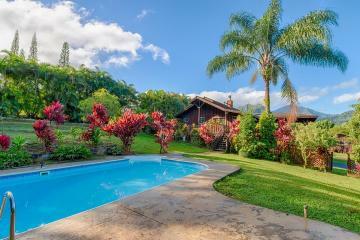 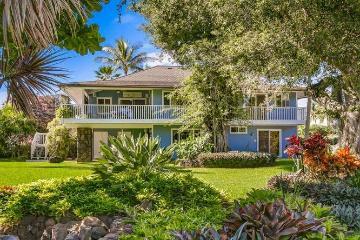 4078 Liholiho Rd Princeville 96722 is listed Courtesy of Coldwell Banker Bali Hai Realty, Inc.
4078 Liholiho Rd, Princeville, HI.